What It’s About: Zack Hobson (Bruno Lawrence) awakens one day to find everyone else on Earth missing. What has happened…and is Hobson really alone? Why Watch it Today? : Today is Waitangi Day, which marks the signing of the Treaty of Waitangi in 1840 by representatives of the British Crown and over 500 Māori chiefs. The Treaty is New Zealand’s founding document, and the day is a public holiday, if a controversial one. 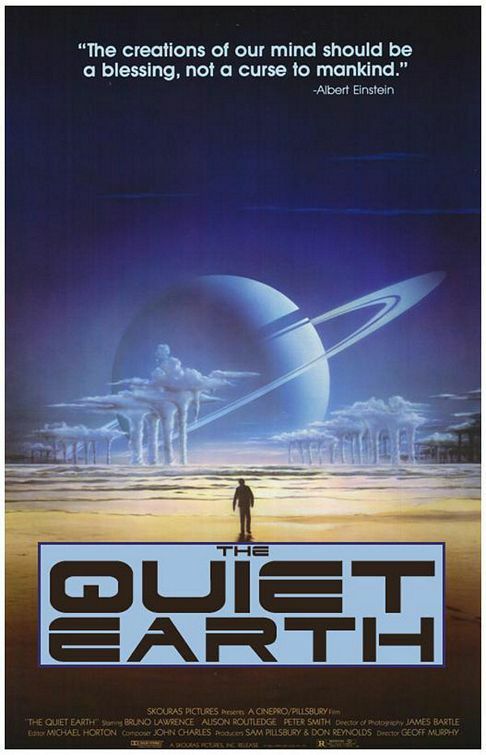 The Quiet Earth is just one of the quirky, cult films that came out of New Zealand in the 1980s. This entry was posted in Drama, Independent, Last Man on Earth, Movie of the Day, Sci-Fi, Speculative Sci-Fi and tagged character study, Cult Film, experiments, last survivor, low-budget, Maori, New Zealand, racial tension.